Going swiftly in the urban jungle. In the busy urban jungle, driving a hatchback could give you some perks. 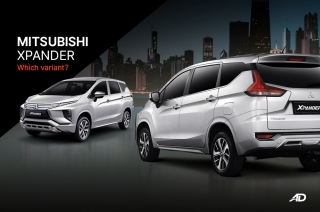 For one, it has relatively petite dimensions, which gives you the power to squeeze into tight streets. 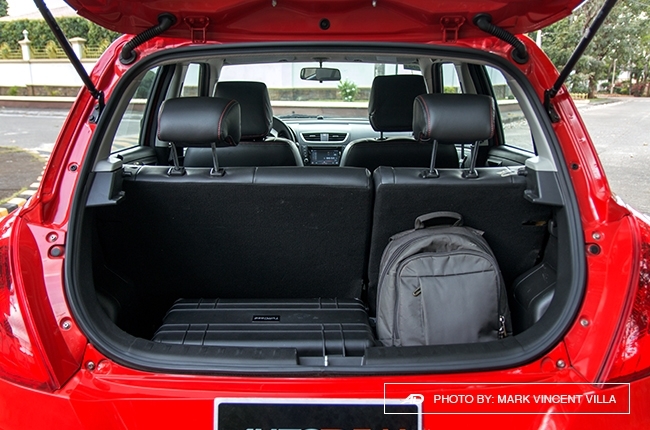 Despite its size, hatchbacks are also versatile, able to carry daily luggage items like gym bags, groceries, and office stuff among others. 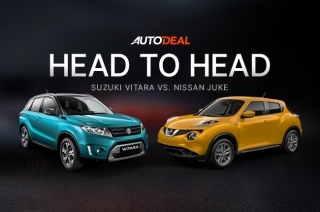 With that in mind, hatchbacks show us that size doesn’t matter in getting the job done. 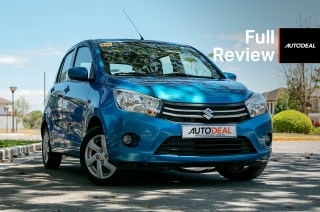 To further prove that point, Suzuki Philippines handed us the keys of the 2016 Swift 1.2L AT. 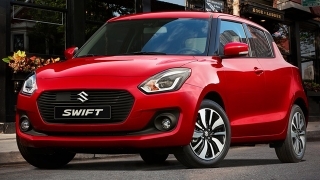 The design of the 2016 Swift features minor tweaks compared to its predecessor. 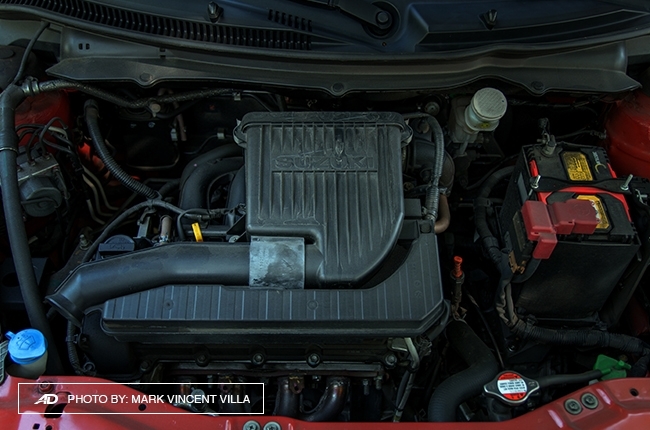 You might even recall the game called “Spot the Difference” when you’re glancing at the new and the old Swift. Nevertheless, the Swift’s design is already good from the get go, so they didn’t bother changing it much. 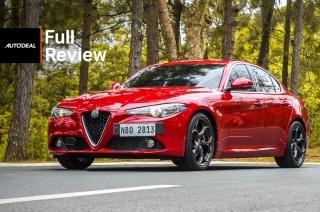 Subtle changes include larger headlights, a wider grille, and a restyled bumper, which featured a new fog lamp housing design. The rear, on the other hand, looks identical to the design of the previous model. Not ideal for tall individuals. 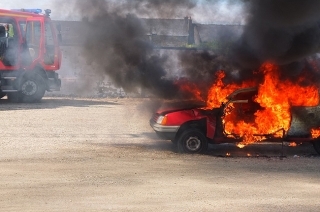 Engine power is a bit short. The Swift’s 1.2L AT variant has identical dimensions with its 1.4L sibling except for its height. The 1.2L is 1,530 mm tall while the 1.4L is only 1,510 mm. 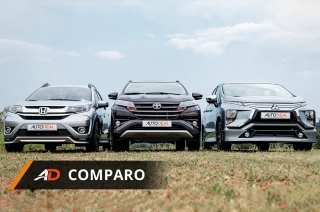 Now, the 20mm difference gives a higher ground clearance for the 1.2L, which is 170 mm (30 mm higher that the 1.4L). 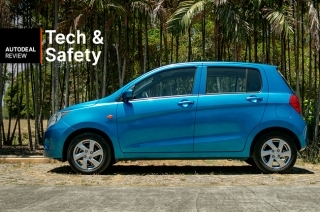 This Swift’s ground clearance is also 10 mm higher as compared to the Mitsubishi Mirage. 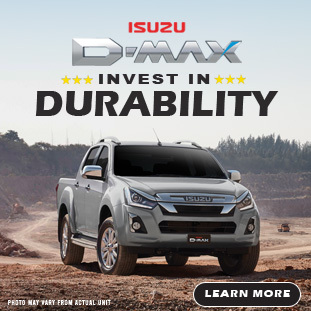 This means that the Swift 1.2L AT could give you a better survival rating when you drive through floods or rough terrain, though that’s not recommended. Inside, it has a black interior theme with splashes of silver. 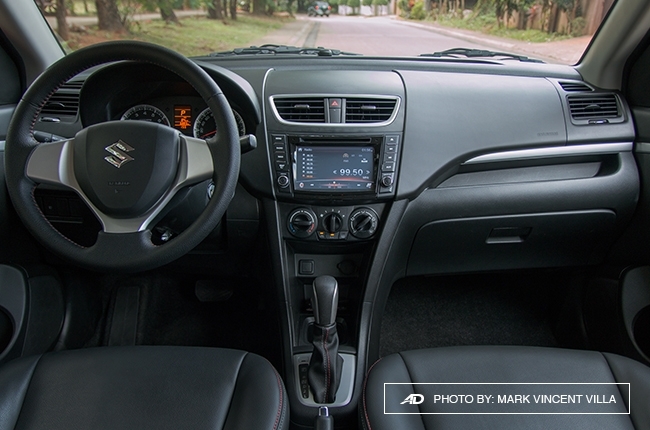 The thing that we like about the Swift’s interior is its simplicity and straightforward design. 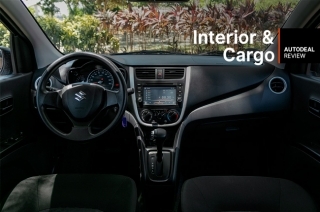 It seems that Suzuki had the idea of “what you see is what you get” approach in designing the vehicle’s cabin. 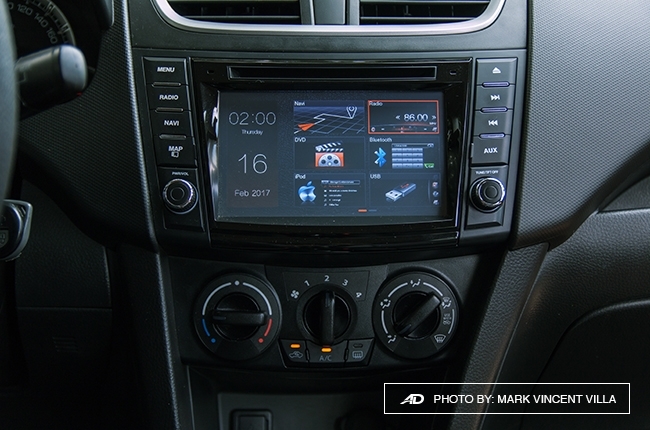 The dashboard is highlighted by a user-friendly touchscreen infotainment system. One need not to be a genius to be familiar with it. 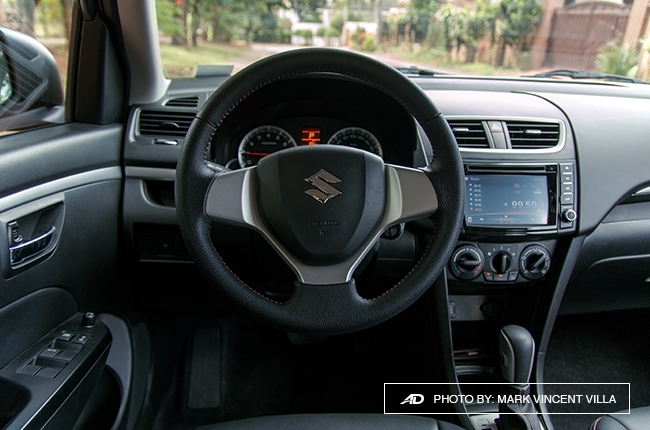 The climate controls are placed below the infotainment system, which is easily accessible by the driver. 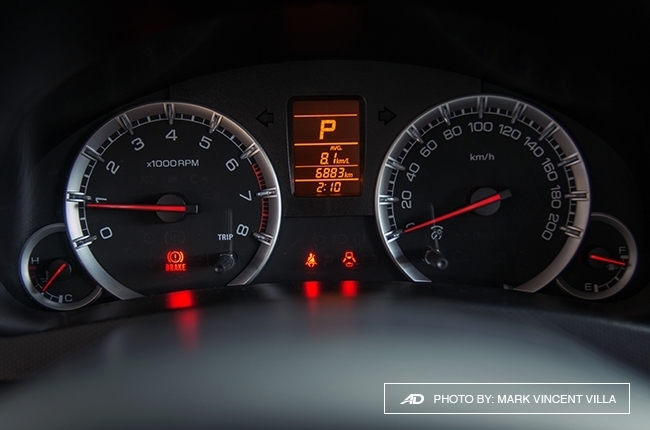 It also has an easy-to-read white-on-black instrument cluster. We’d like it better if it illuminates white instead of orange during nighttime, as the former is more pleasing to the eye. 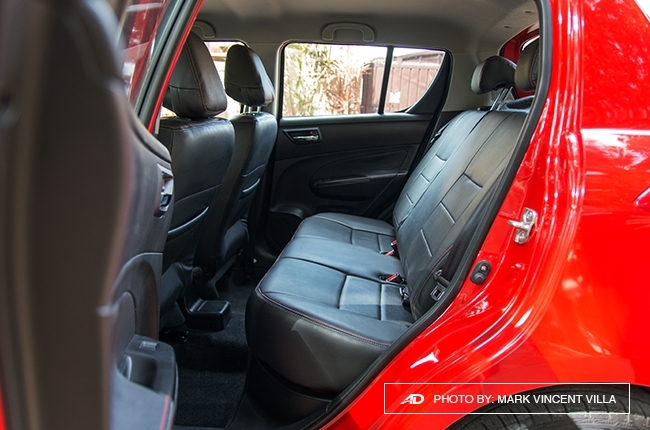 In terms of space, the Swift has a decent leg and head-room for most individuals, though taller passengers (say those who are 5’ 8” and above) will have a hard time looking for their sweet spot while seated at the back. 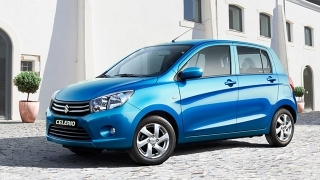 Driving through the city can be done with ease due to the Swift’s agile handling and light steering. 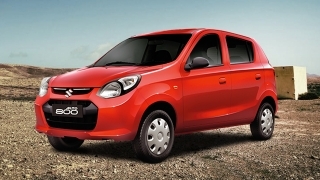 Combine those qualities with the Swift’s diminutive dimensions, tackling tight streets would not be a problem. 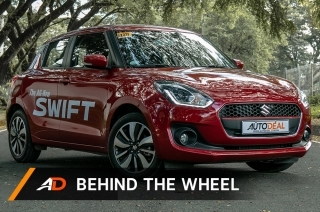 Just don’t expect a race-car like acceleration and speed with this Swift as it is equipped with a 1.2L engine delivering 87hp and 114Nm of torque, mated to a 4-speed AT. With that in mind, overtaking should be done with wide margins, since the Swift’s powertrain could take some time to churn out enough power. 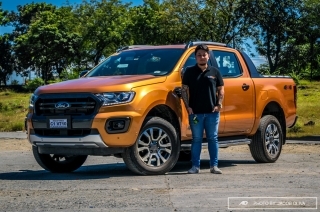 For its ride comfort, it can take some hits from the city’s dilapidated roads, though the suspension leans toward the firm side. 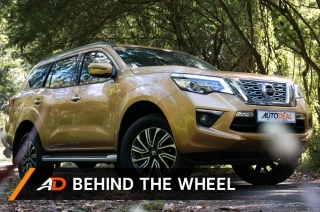 The Swift’s ground clearance also gives you confidence whenever you’re driving through unpaved roads. 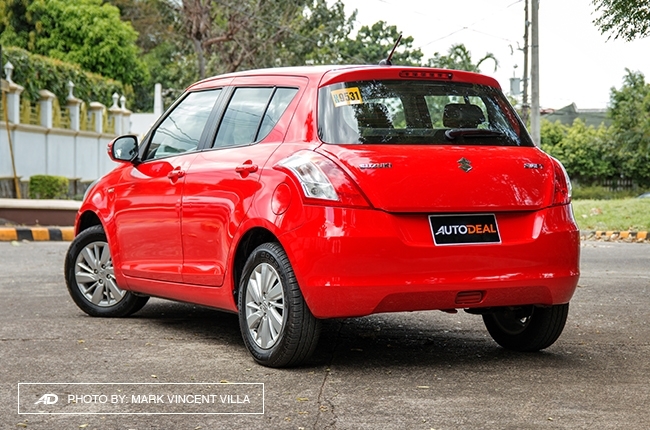 In terms of fuel economy, the Swift registered 12 km/l while running at an average speed of 40 km/h in the city. 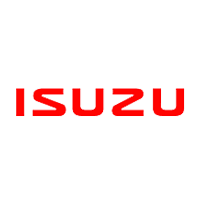 On the other hand, Suzuki’s hatch yielded 8 km/l when doing an average speed of 20 km/h. 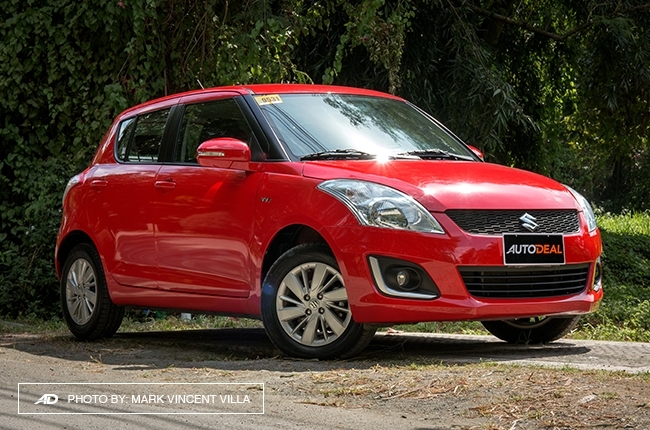 The Suzuki Swift could be an ideal choice if you’re looking for a daily city transporter. 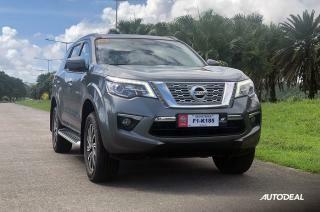 It has a compact size, a high ground clearance, and a competitive price tag of P678,000, which won’t make you sell a kidney. 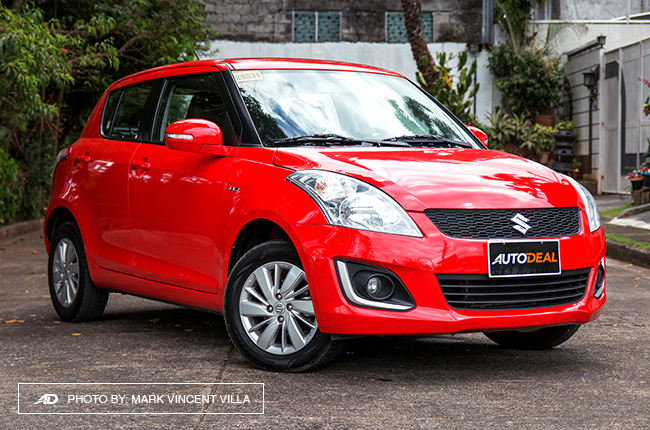 Size doesn’t matter if you’re just going around the metro, and the Suzuki Swift is a good hatchback to consider.